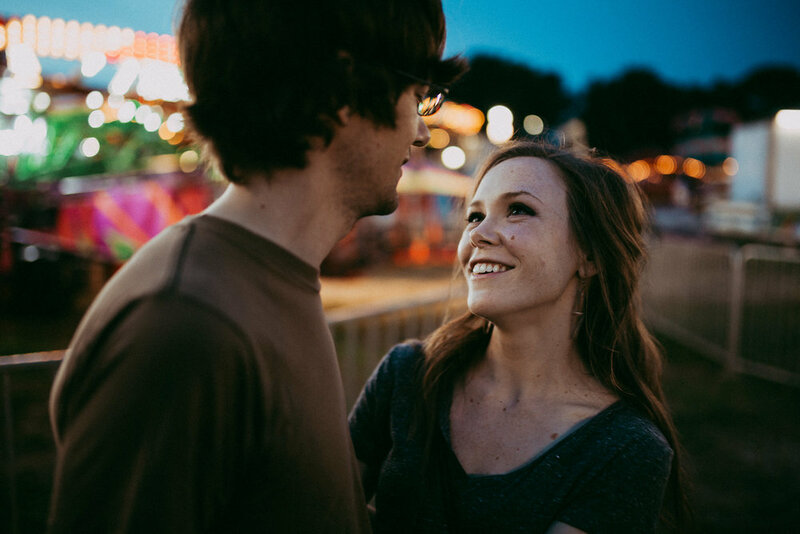 Tori and Sean, besides having one of the best 3 year olds I've ever met, have this really relaxed and comfortable kind of vibe with each other. 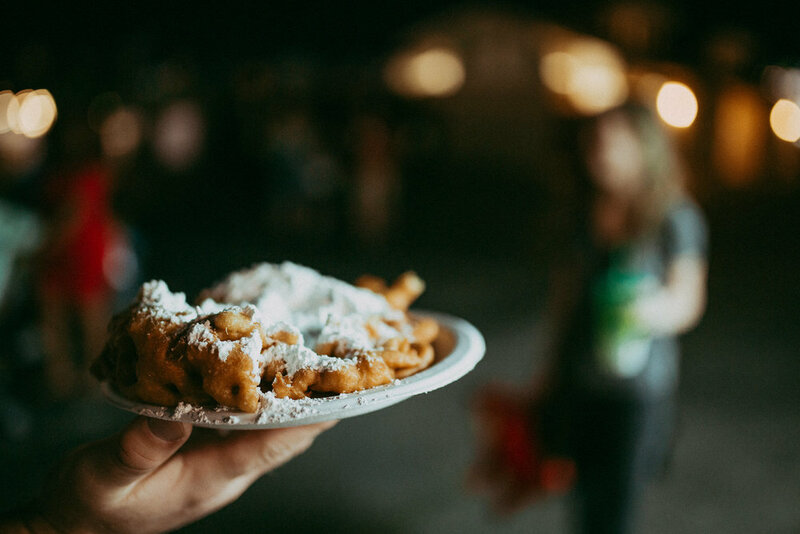 We took some photos at the NC State Fairgrounds earlier this summer, which was basically an excuse to take my husband out on the town and eat a funnel cake. 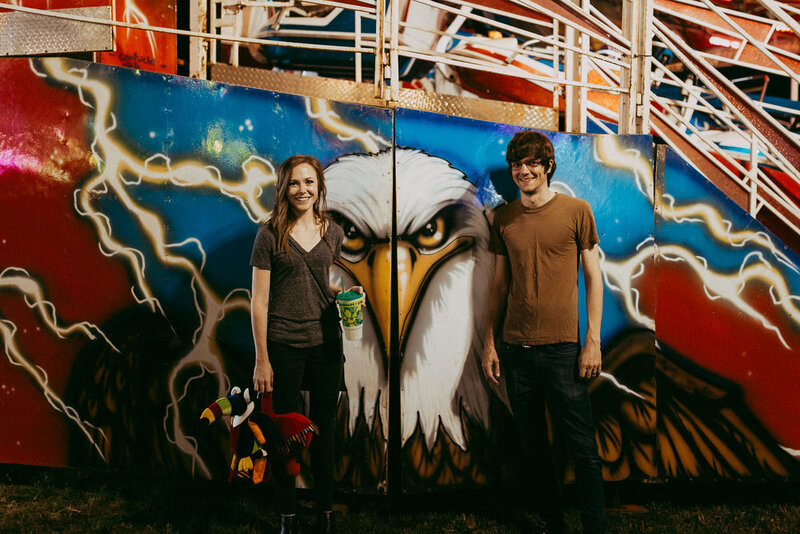 We played games and ate terrible food and people-watched, and happened to take some photos along the way. 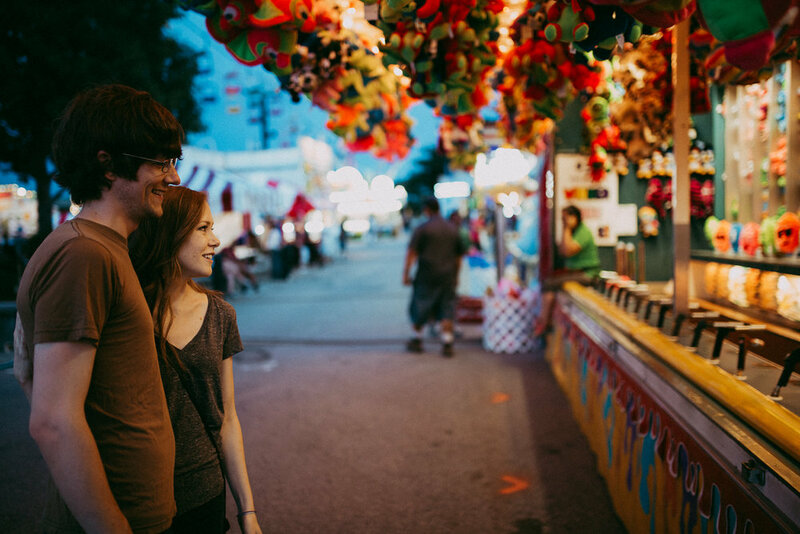 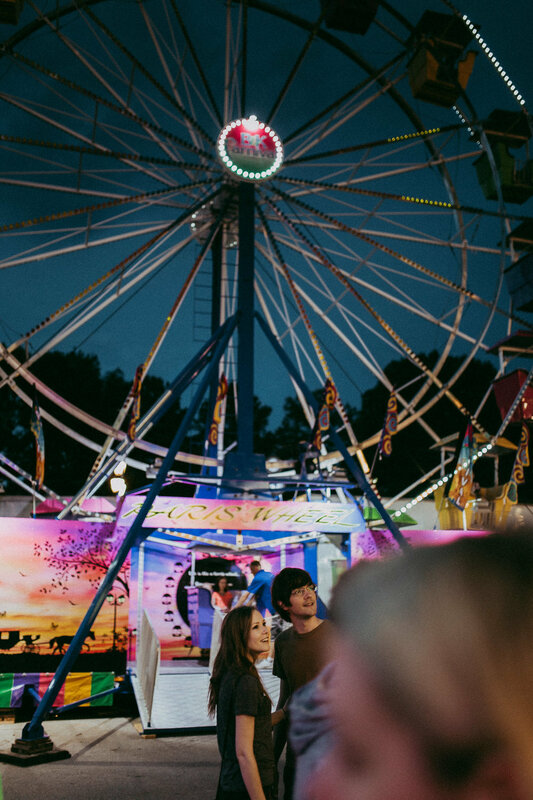 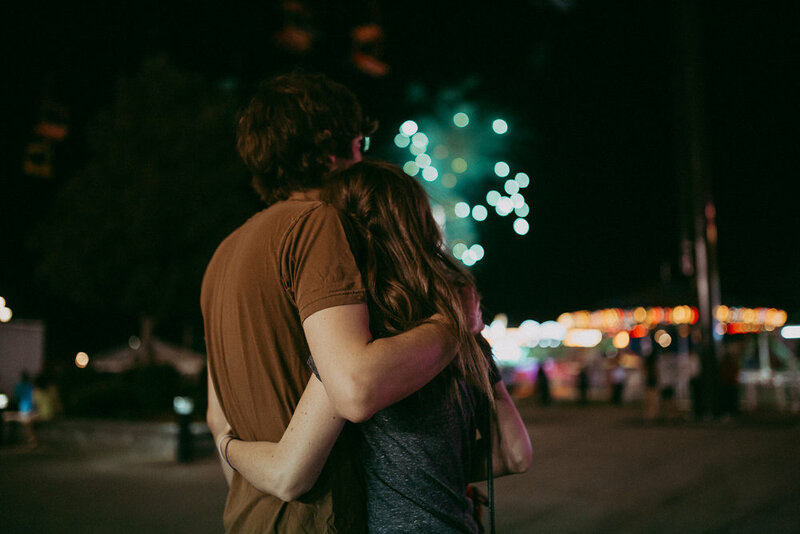 Pretty great summer night, and now I'm totally anxious to find a couple who wants to shoot at the State Fair this October - give me a shout if you're in!